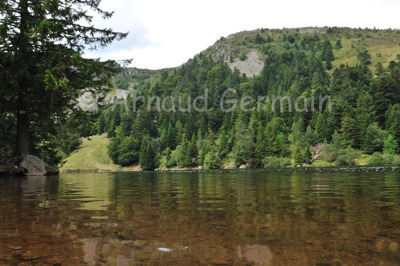 One of my favourite locations in the Vosges mountains, where I grew up. This lake is at end of a valley, surrounded by mountains. I handheld my D700 Nikon camera with an 18mm lens as close as possible to the water.